Ceramic Kitchen Knives are the new way to prepare food safely and healthily. These Black Ceramic Knives offer the perfect sharpness and traditional design. Your home or workplace has been the forefront of our minds when each set has been put together. 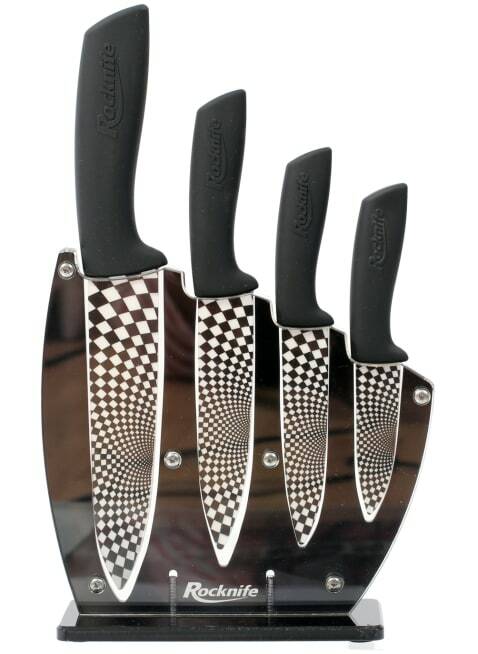 These Black sets will always be suitable for any kitchen or workplace. The ultimate in design and professionalism, our black handle ceramic bladed knives is the colour that inspired us to originally make these knives.